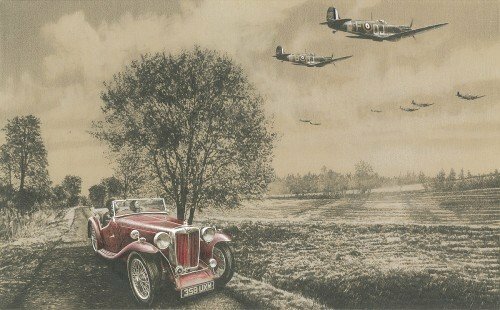 Few aviation artists come close to Richard’s extraordinary skill with pencil and paint which is why his drawings are highly prized. This release once again emphasises the commanding heights which he has achieved and collectors will be delighted that a Limited Edition of this emotive piece is now available. Each print is personally signed by Pilots who flew and fought in the Battle of Britain - the very rare autographs of some of the last of that small band of airmen who were instrumental in saving the free world from Hitler’s tyranny.